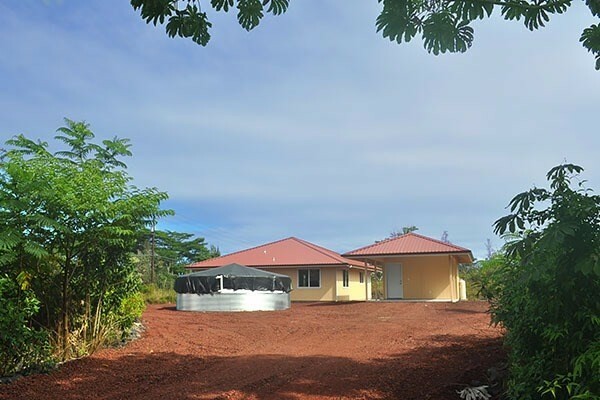 GREAT PRICE and a GREAT LOCATION on this cozy BRAND NEW Hawaiian home located just off paved road in the coastal subdivision of Hawaiian Paradise Park. 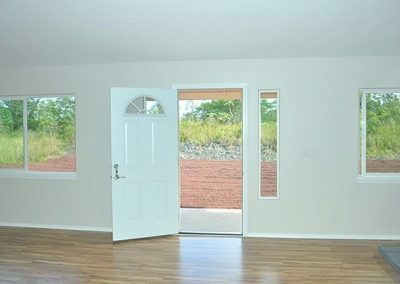 As you walk under the covered front lanai and in the front door you come to the generous sized living room with its large picture windows that let in light and the wonderful trade wind breezes. 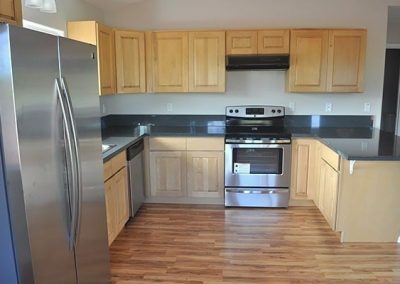 The kitchen is roomy, has plenty of beautiful granite counter space, bar seating, solid birch wood cabinets and stainless steel appliance. 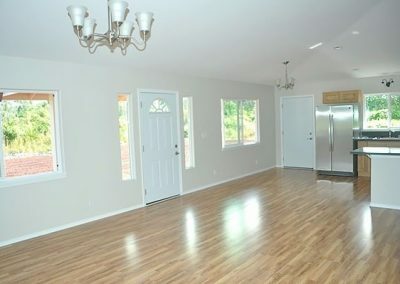 The cozy dining area is off the kitchen rounding out the open floor plan concept of the home. 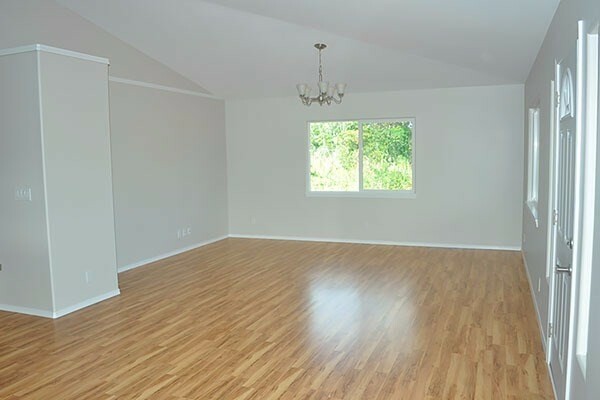 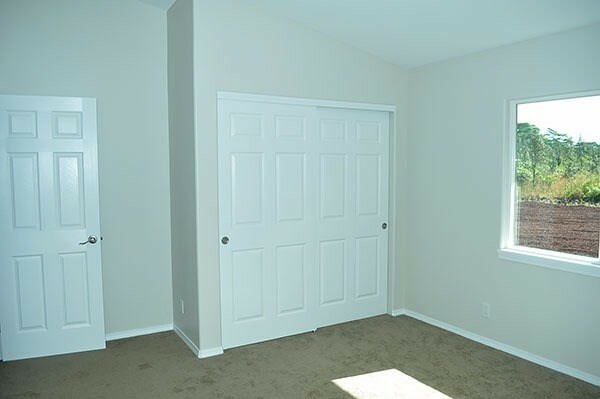 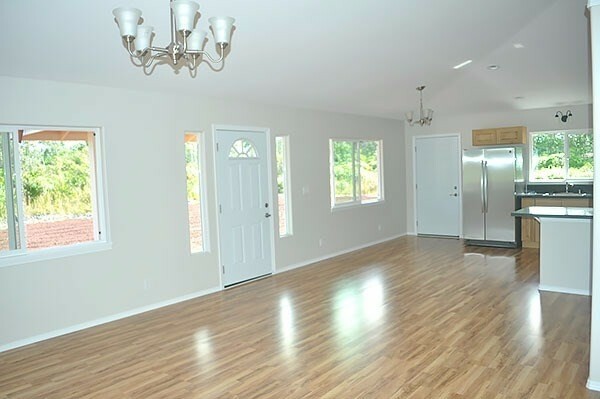 The flooring is a richly colored wood laminate; the inside of the home is painted a subtle beige with white trim and there are beautiful vaulted ceilings. On the back side of the home are the master suite with its private bathroom with walk-in shower. 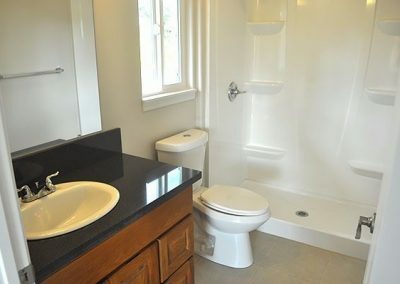 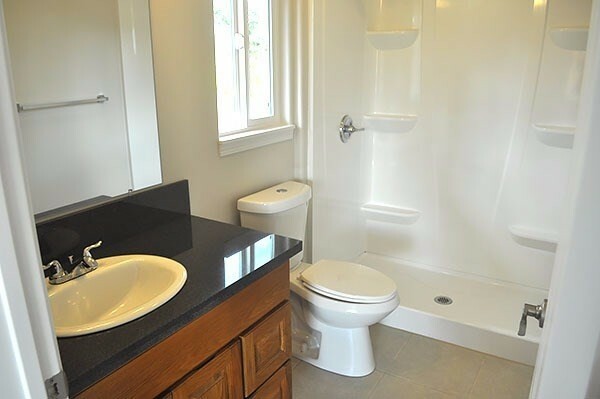 The guest bathroom and second room complete the house. 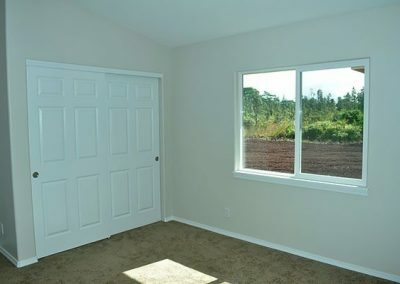 Both bedroom have two large windows – so important in this area. 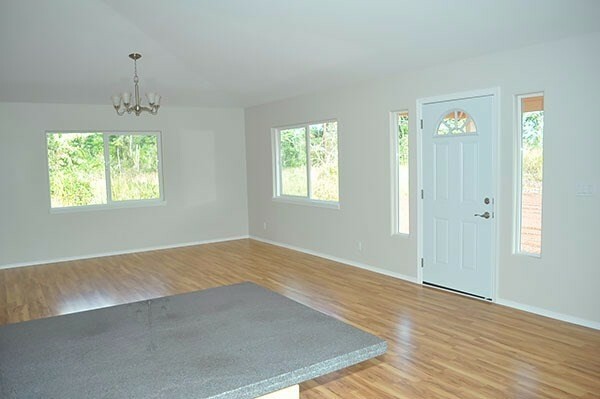 There is a carport with utility room attached to the backside of it. 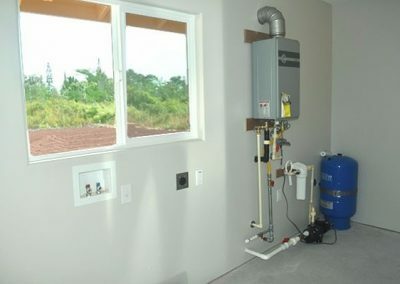 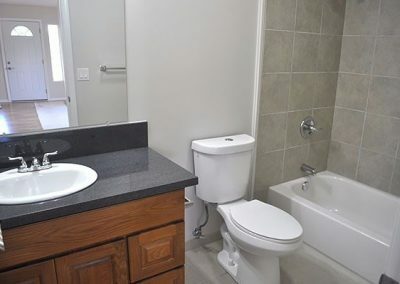 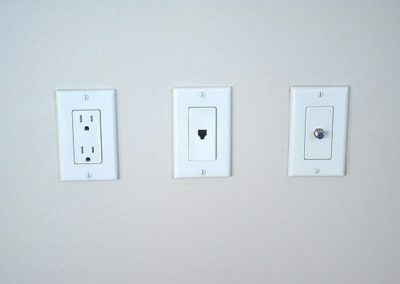 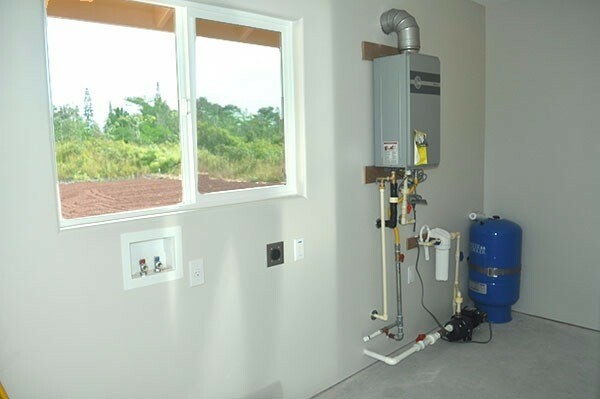 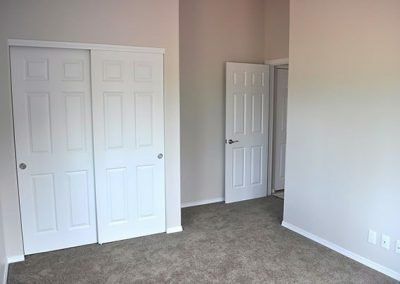 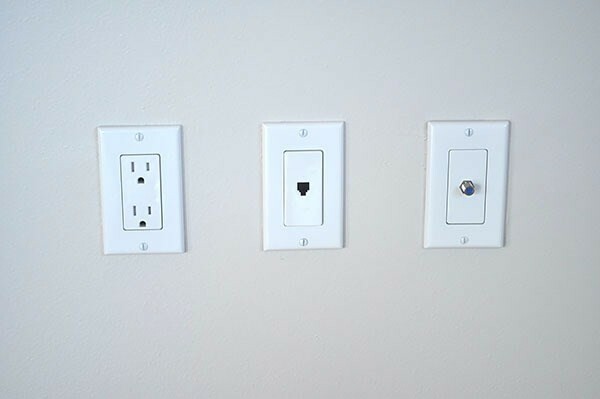 Inside the utility room there is plenty of space for the washer and dryer, on-demand water heater, water filtration and pump plus additional storage! 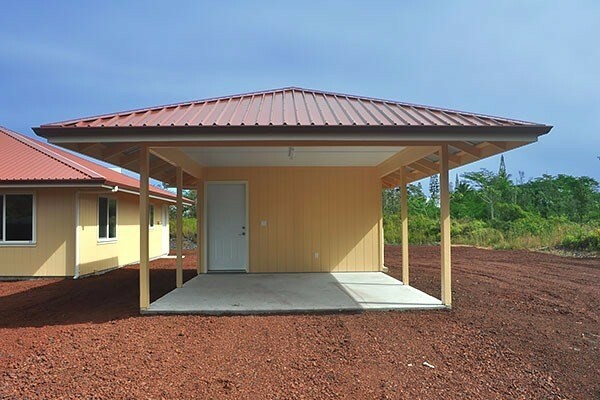 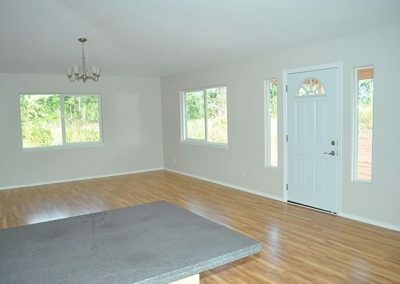 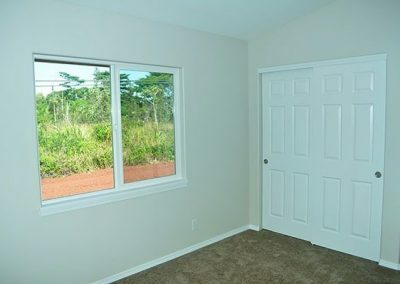 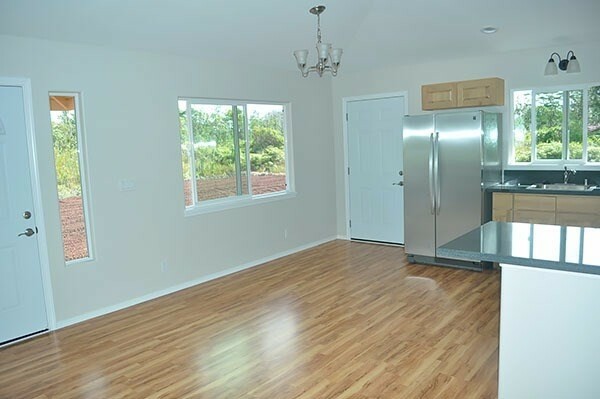 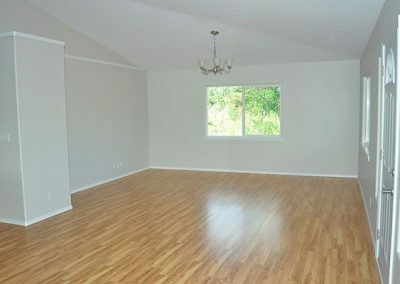 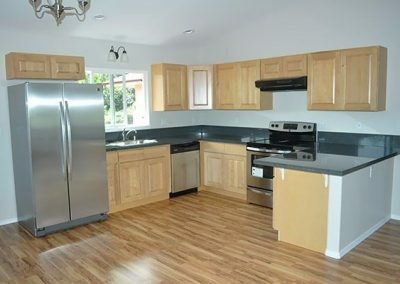 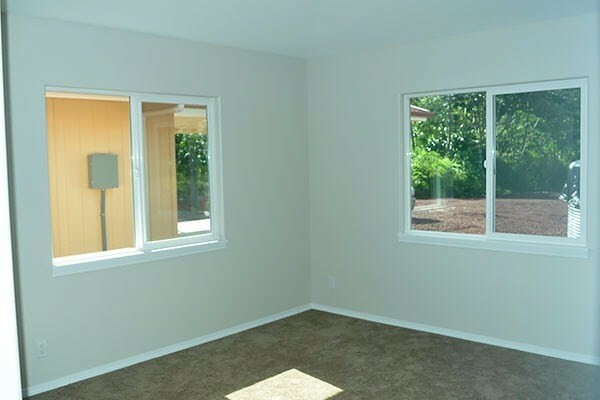 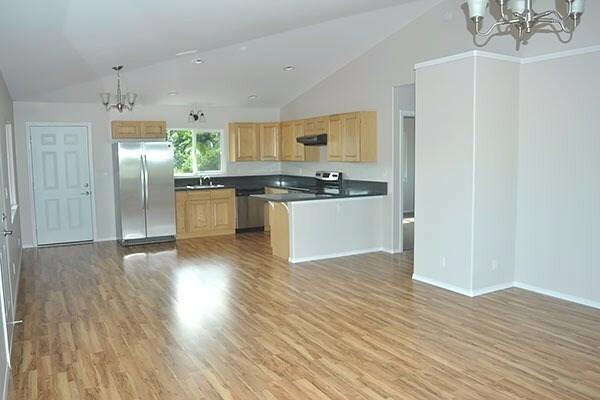 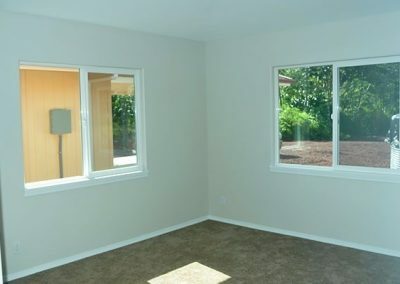 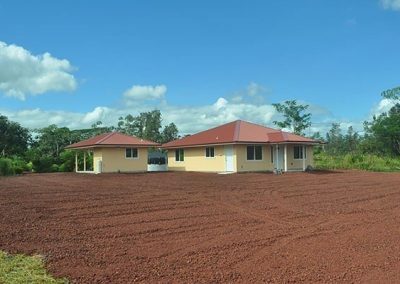 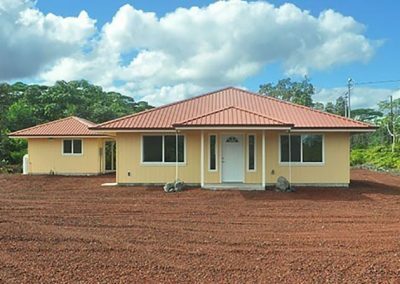 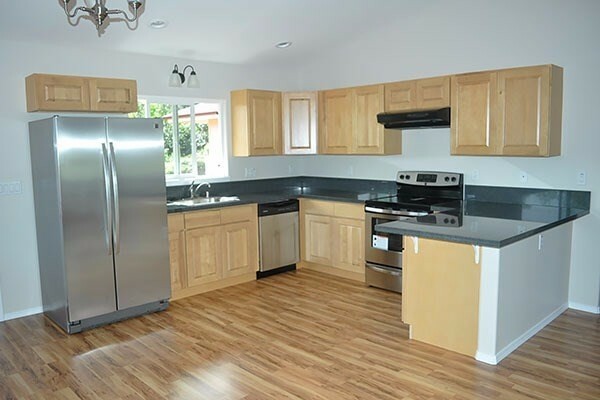 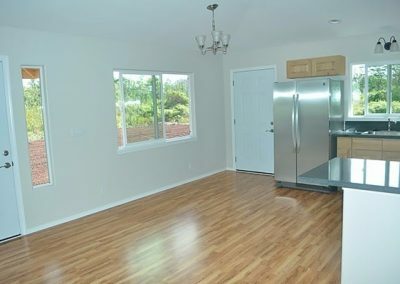 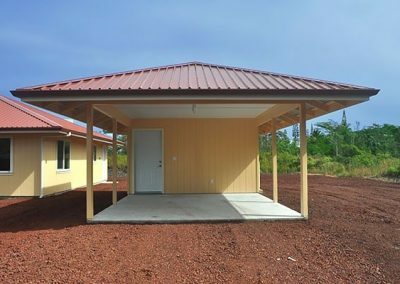 This brand new home was built with the front facing east for the sunlight and breezes and is located in the much desired “sun belt” area of Hawaiian Paradise Park. 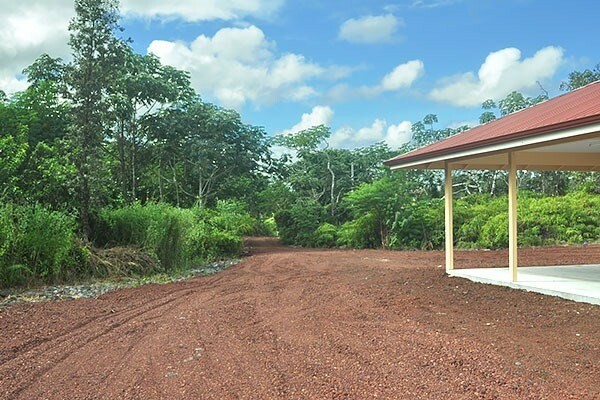 However, this property still gets plenty of rainfall for any type of tropical garden or small agriculture project. 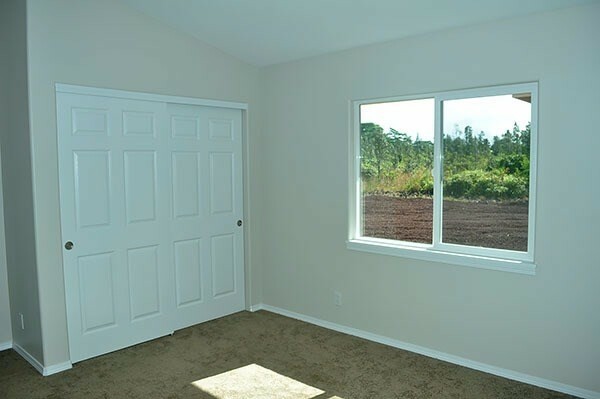 About half the 1 acre lot was leveled and covered with a thick layer of cinder – a great start for the new home owner. 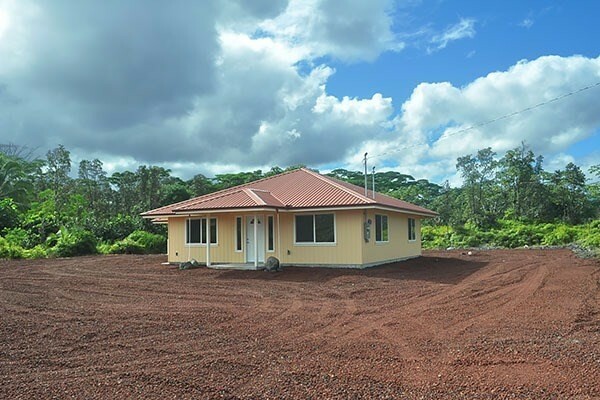 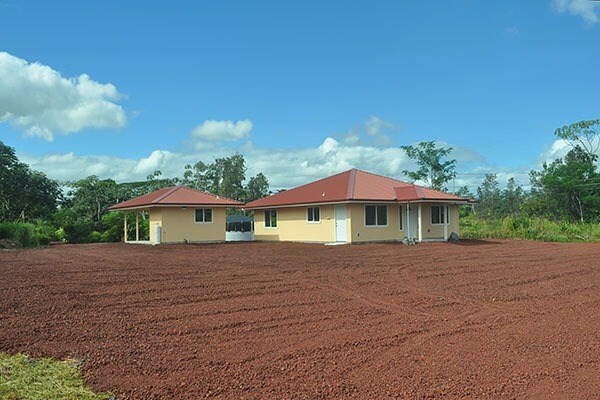 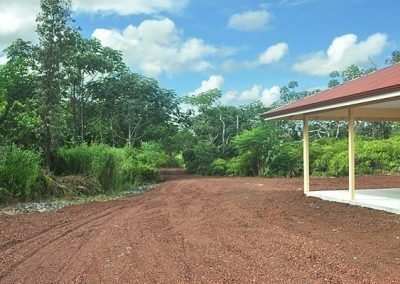 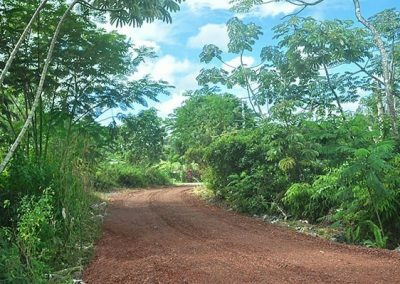 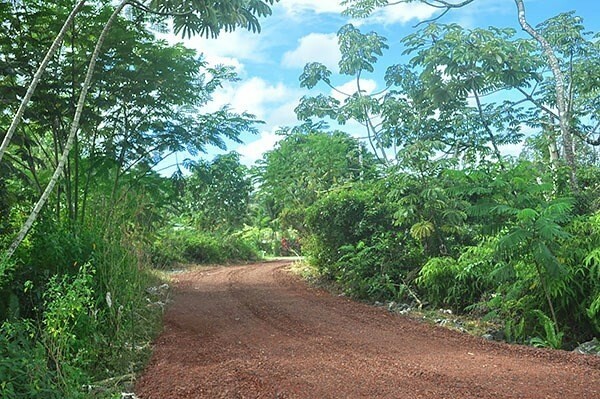 The lot is located close to paved road making for an easy drive to either Pahoa or Hilo. 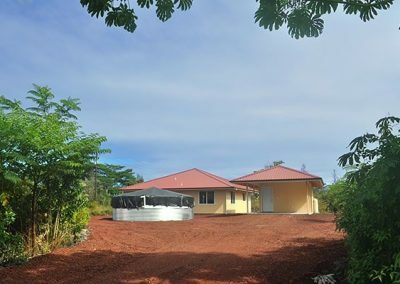 The property is just about 1 mile to the beautiful Hawaiian Pacific Ocean where often sea turtles and dolphins are spotted. 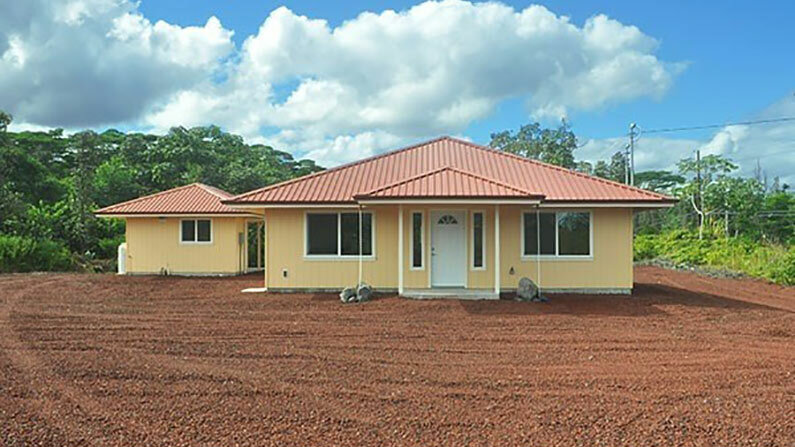 Beautiful houses throughout this coastal community. A brand new home on 1 acre at this price, in this location is an opportunity you will not want to miss.